Check out my Light & Composition profile! Want to see more of photos chosen by Light & Composition for Photo of the Day? Click on this link to check out my profile and see the photos shared around the world! Don’t ya just love sharing?! 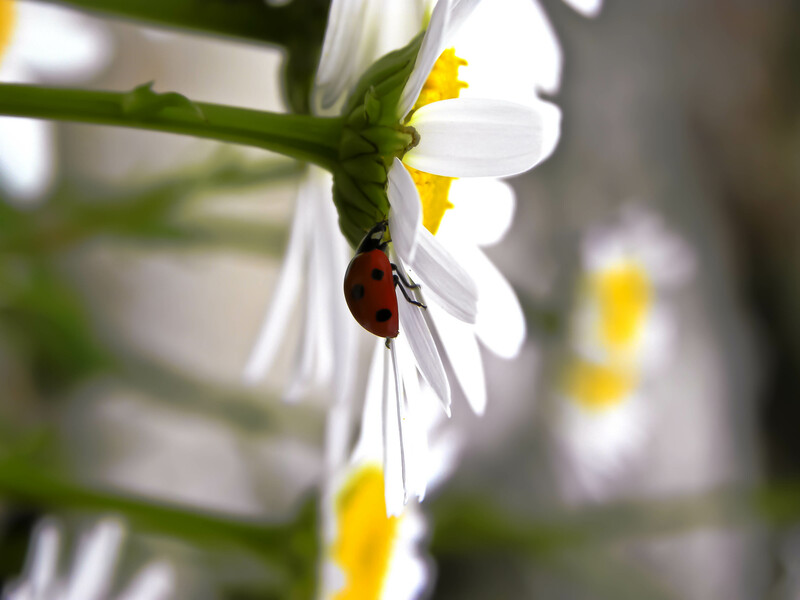 Sighhhhh… in looking thru photos in my library today I found this overlooked photo of a ladybug and a daisy. I fell in love immediately. Such a great photo with my readiness for Spring to arrive this year! 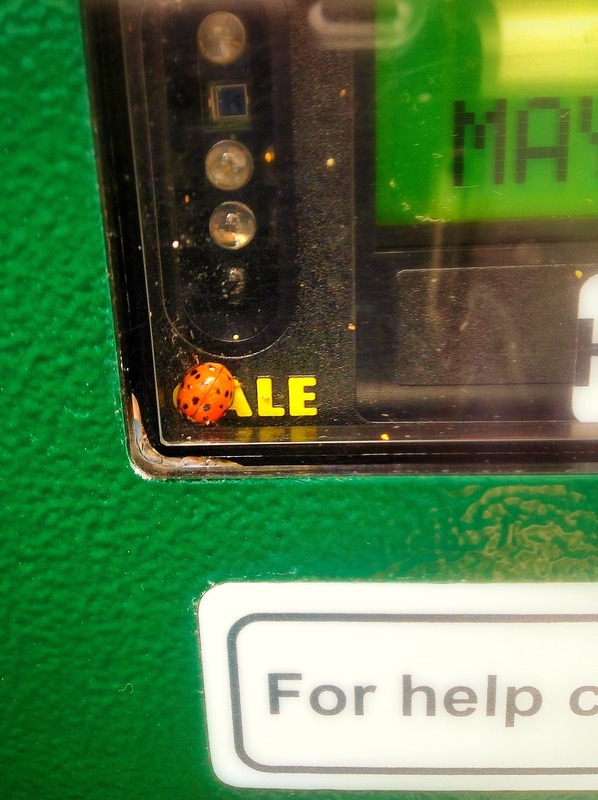 I found this little ladybug inside the parking meter a while back. Thought I would share it for the weekly challenge. 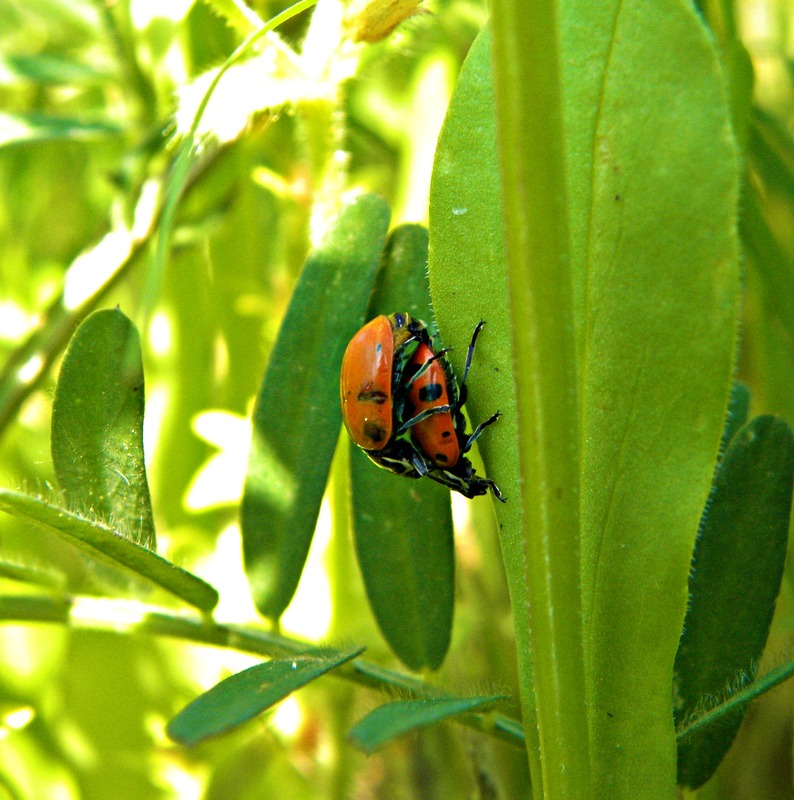 After looking at my pictures I found that I have a LOT with insects. That made me think that maybe I should have been an entomologist. Ok, well, not really. But perhaps I see a theme coming to FR&A…. 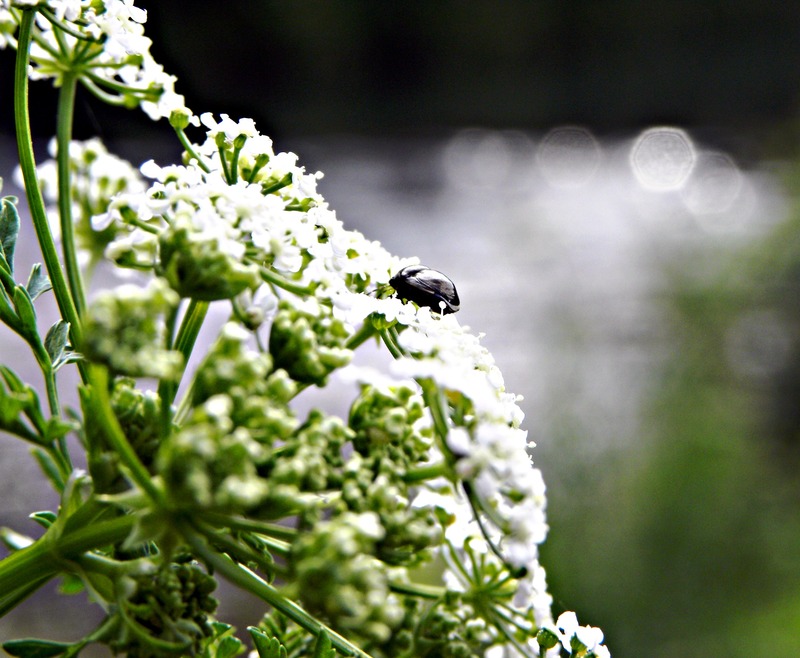 Here are some of my early insect photos taken in Roaring River, MO. 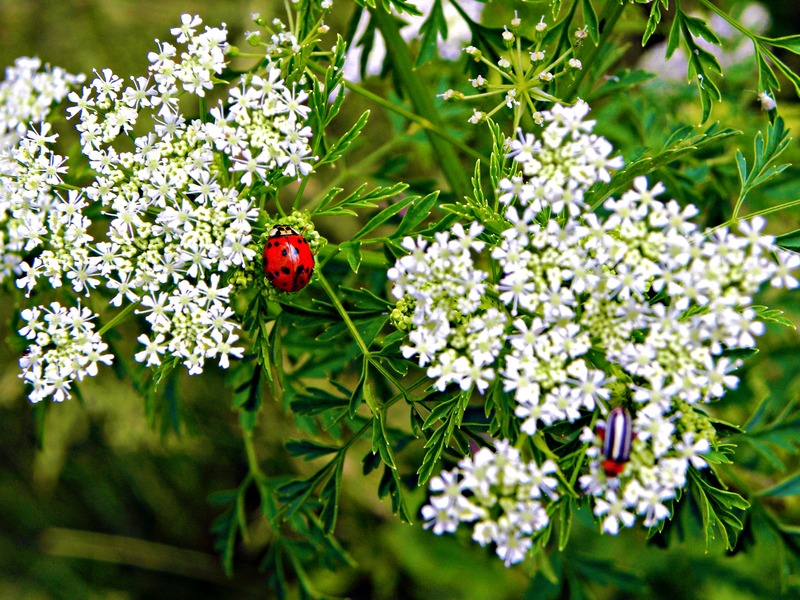 The second picture I just love for the red in it – the ladybug so bright and round and the other insect that looks like a black, white and red striped fly- and of course, again, the small white flowers against the beautiful greens. Also, this picture (or a part of it) appears on the cover of my Blurb book Nature’s HD (for sale on Blurb).